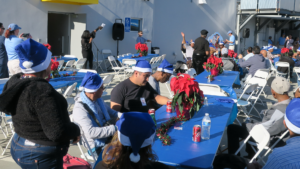 This holiday season, we continued our Random Acts of Helpfulness for those who needed it most. 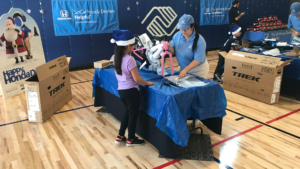 Throughout December, we donated thousands of toys and non-perishable food items to local charity organizations and food banks, pumped thousands of gallons of free gas, built gingerbread houses, rolled out our holiday treats truck, and as always, brought a helpful holiday celebration to hundreds of adults, families, kids, teens, and elders in need. 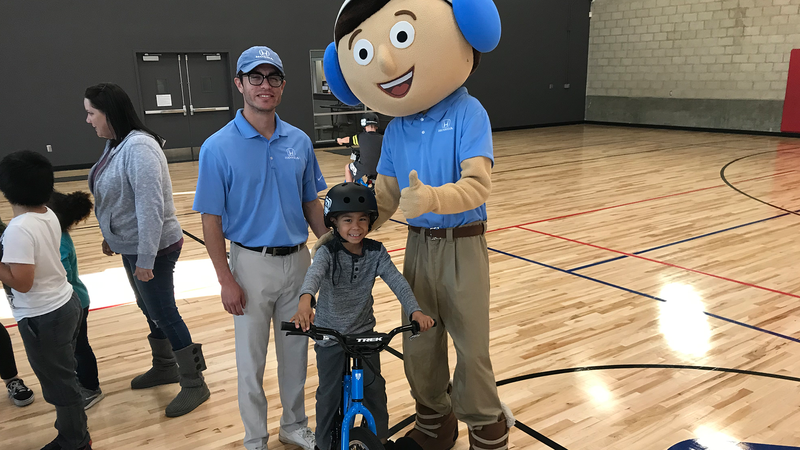 To kick off our annual Helpful Holiday week of giving, we brought a bike building event to deserving youth at the Boys & Girls Club of Brea-Placentia-Yorba Linda. 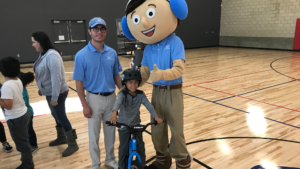 We gifted each child with the bike they (secretly) asked for from Santa, alongside a pizza party and holiday craft activities! The holiday cheer continued the following day with a Helpful Honda Appreciation Lunch for the clients of JWCH Institute Inc., a non-profit health agency dedicated to improving the health status and well-being of under-served segments of the population of Los Angeles, through the direct provision or coordination of health care, health education, services, and research. 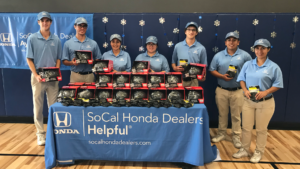 Clients enjoyed a warm holiday meal, winter essentials and toiletry gifts, to help recognize their dedication to JWCH programs and bring extra joy to their holiday season. 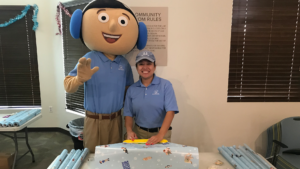 The next morning, we treated over 200 parents and children to a special holiday celebration at Families Forward Learning Center in Pasadena, a non-profit organization that provides free education and social services to low-income families in Pasadena and Altadena with children from birth to five years old. The families enjoyed a festive holiday meal, a visit from Santa Claus, complimentary gift cards, gingerbread houses to take home, and a holiday photo station! 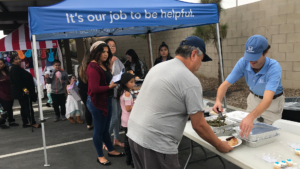 Later that day, celebrations continued for clients of PATH (People Assisting the Homeless) in Bloomington, an inspiring local organization that provides support to homeless individuals and families as they transition from living on the street to thriving on their own. 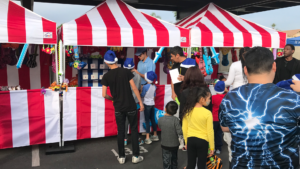 Over 200 children and families were treated to a festive holiday meal, complimentary gifts with a gift-wrapping station, carnival activities, holiday crafts, and a photo station! The helpfulness didn’t end there! 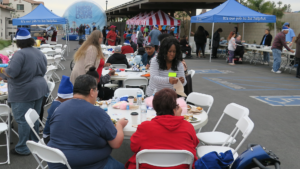 To finish off our Helpful Holiday celebrations, we hosted a holiday party for over 200 local homeless adults in Santa Monica, complete with a warm holiday meal and helpful winter essentials, such as socks, rain ponchos, and toiletries. So what’s next? This Valentine’s Day, make sure to keep an eye out for us at your local courthouse for a sweet surprise on the love day holiday!